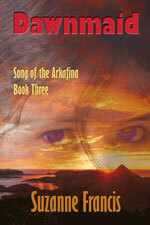 Gwenn and Gunnar travel to Khalama to fulfill a last request, but when they arrive, nothing is as it seems. For one thing, the man whose lifeless body they faithfully transported, Arkady Svalbarad, turns out not to be dead after all. And his old teacher, Dawa Tinley, is strangely absentminded. 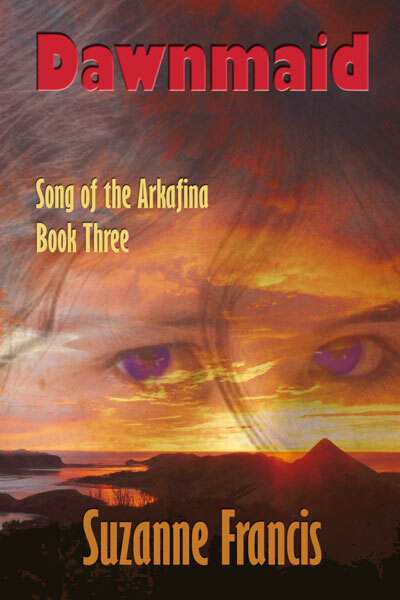 When Gunnar disappears, Gwenn has to make the best of her situation, so she turns once more to Arkady. The consequences of their union will bring both mortal peril and new hope to the peoples of Yrth. Katkin and Huw have holed up in an old farmhouse for the winter, but the addition of two children to their family has left Katkin feeling trapped and miserable. After Huw is arrested for a terrible crime, she must decide whether to run, or stand by his side. When Katkin is reunited with an old love, the choice becomes even more difficult, until a betrayal and a chance meeting steer her to the right path. When she finally arrives on Starruthe, she is just in time to help Gwenn with the baby, but is it too late for Gunnar? Only Gwenn and keth'fell can save him now. When the Dawnmaid comes into the world, it will take a miracle to hide her from Maggrai, who has come back from the future with a weapon of total annihilation. But Gunnar also has a secret weapon, though he is loath to use it. Will he come to terms with his true identity in time to protect the Dawnmaid from Maggrai's wrath?